Teen charged with murder after baby found in North Philadelphia dumpster. Sarah Bloomquist reports during Action News at 4pm on January 2, 2019. PHILADELPHIA -- A teenage girl has been charged with murder and other offenses in the death of her baby, who was found in a North Philadelphia dumpster on New Year's Eve. 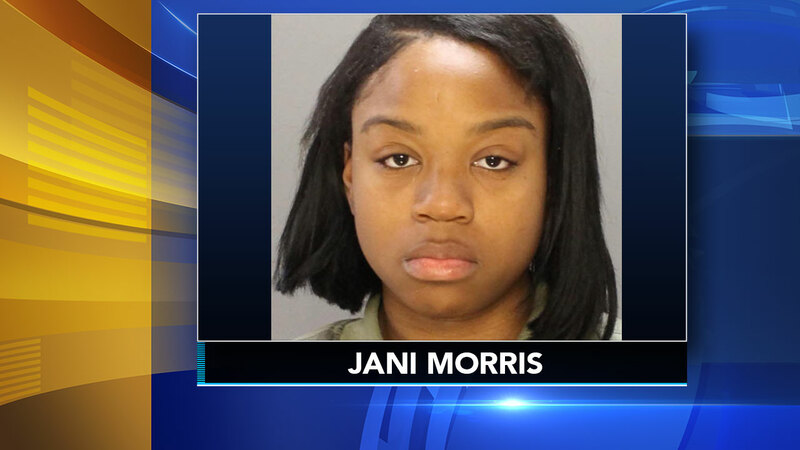 Jani Morris, 15, of the 2200 block of Lehigh Avenue, has been charged as an adult. She is also charged with endangering the welfare of a child, possession of an instrument of crime, and abuse of a corpse. The newborn baby boy was pronounced dead at Temple University Hospital after he was found late Monday night. Police believe Morris suffocated the baby and placed his body in the dumpster. Police said it all began around 10:30 p.m. when a woman approached officers at 22nd and Lehigh streets, three blocks away from where she had discovered the newborn. Detectives say the woman informed them the baby had been placed there by Morris, a friend of her daughter. Police say they found the teen, and her mother, inside their nearby home. Investigators believe that's where the teen gave birth. Neighbors saw the police activity and word of the discovery spread quickly down the block. "I just saw a bunch of cops over there, taped off by the lot," said Patsy Ann. "I called my neighbor and they said a baby was found in the lot." They were saddened by the fact that the teenage mother didn't see any other option, one that would have kept her newborn alive. "It's hurtful, that's what it is. Very hurtful," said Dawn Jackson. "Maybe she was scared and didn't know what to do." Police want to know if anyone else had any knowledge or involvement in the young mother's actions. "Those are things that investigators will look at, who else may have been complicit. I am not, just to be clear, presuming that that is the case, but that is certainly something that investigators want to understand and get knowledge of," said Capt. Sekou Kinebrew. The district attorney's office said that, given the seriousness of the murder charge, Morris is likely to be held without bail.